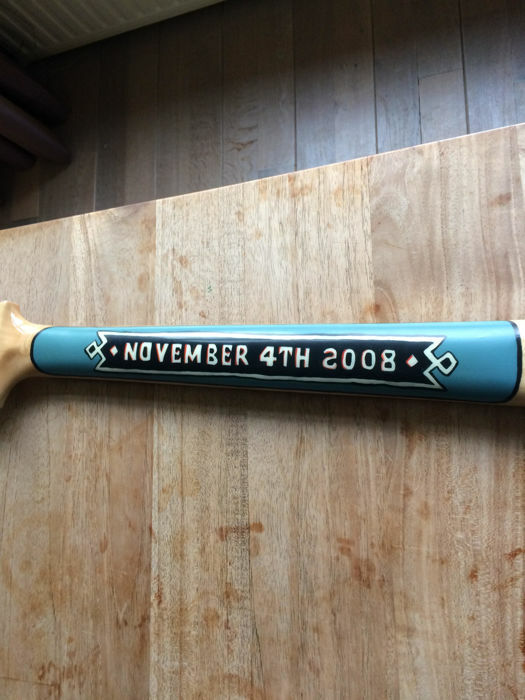 Electric guitar, Kronodale "Obama anniversary" (model 2-P) blue. 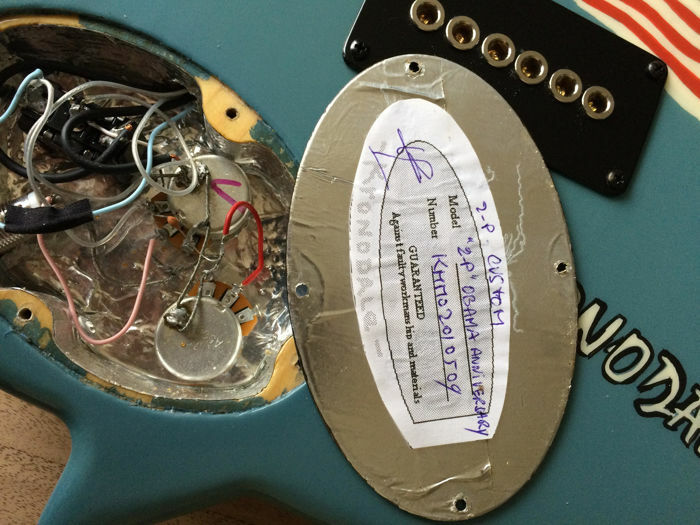 This guitar was made in a single copy on the occasion of the election of the U.S. president. 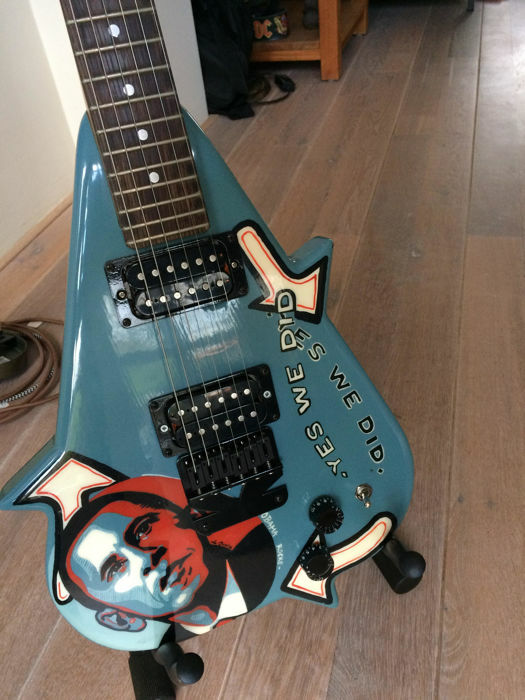 With a portrait of the president painted on the body of the guitar with his post-election slogan: "Yes we did", bigger logo on the back of the guitar: "Play, Yes we did, by Kronodale"
Also distinctive: date of the election at the back of the neck: "November 4th 2008". 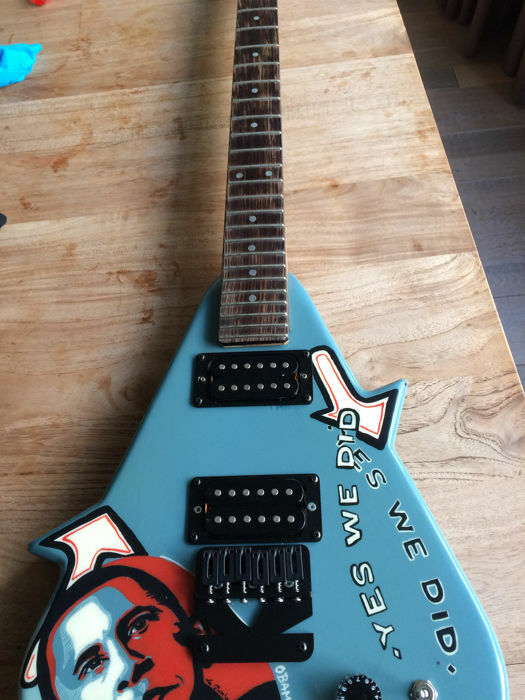 Unique guitar, only one of this model was made. 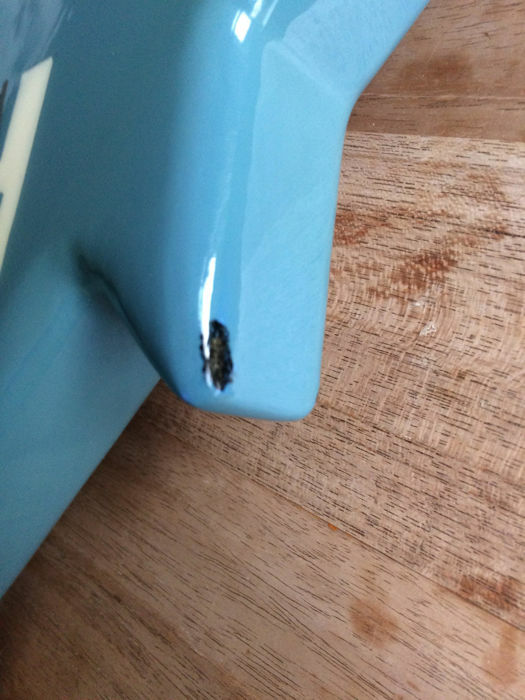 Specifications: Fender 64.7 cm pitch. 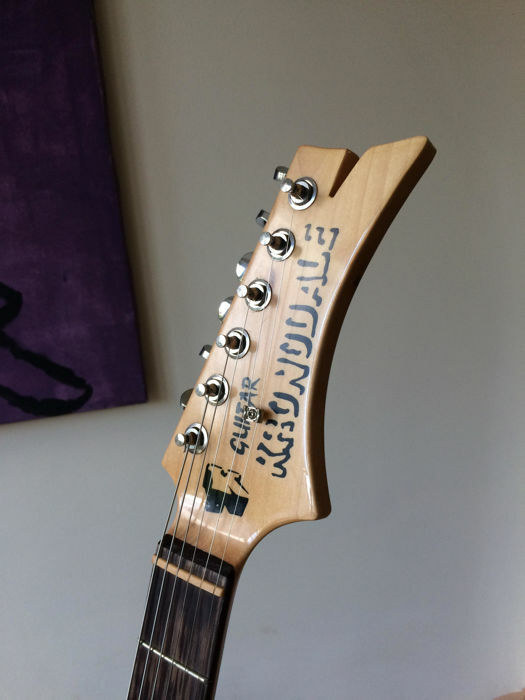 Wenge fingerboard and maple neck. Two double pickups, powerful and warm. 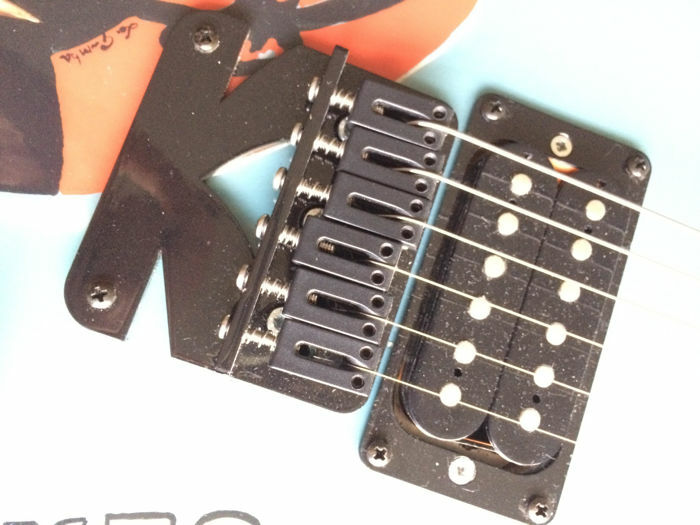 Customized K shaped neck-plate and bridge. 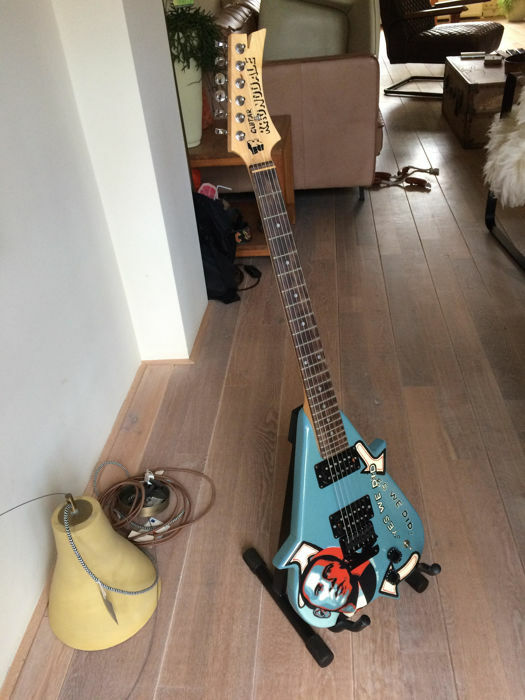 This guitar is a small marvel. No damage on the varnish. 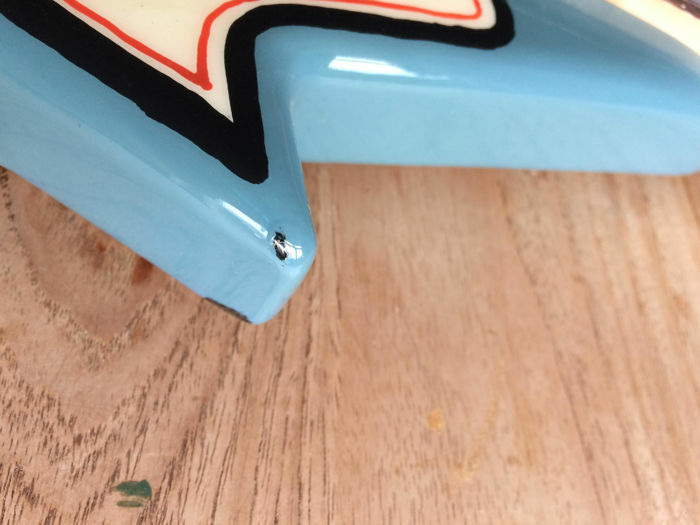 No wear on the frets. 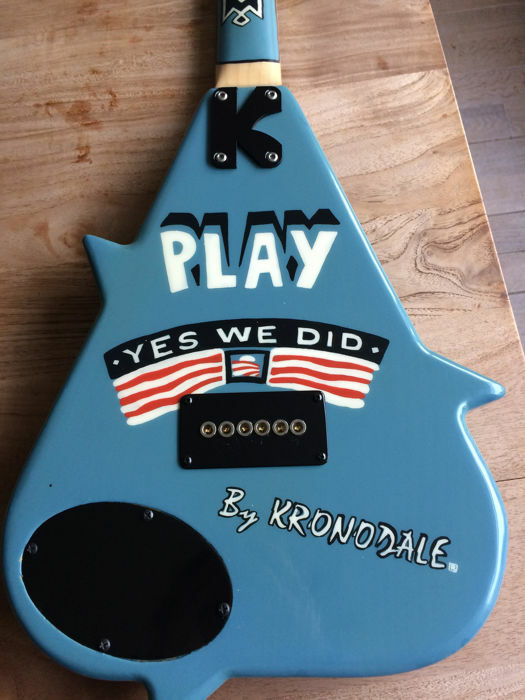 An exceptional guitar and a real instrument for collector.
. "Play, Yes we did, by Kronodale"
Kronodale design bridge and neck-plate.